Communication icons. Communication and internet icons set. Mail vector icons. Closed and opened envelope with different signs. 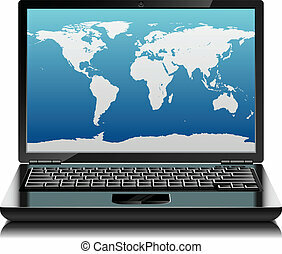 Black laptop with world outlines on the screen. Front view. Globes and spheres icons set isolated on white background. Metallic database icons isolated on white background. Brushed metal cloud icon vector set isolated on white background. Vector set of blue buttons with business icons isolated on white background. White wheel chart with color segment 3D vector icons isolated on white background. Communication concept. Globe with light traces rotating around. 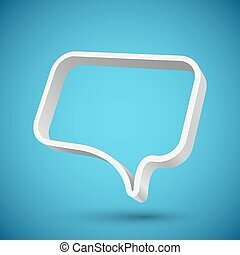 Blank 3D speech balloon banner with blue background. Vector illustration. 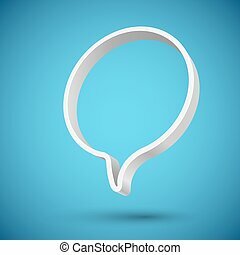 Blank round 3D speech balloon banner with blue background. Vector illustration. Free Wi-Fi access zone green icon isolated on white background. Vector illustration. Modern monitor realistic vector illustration. 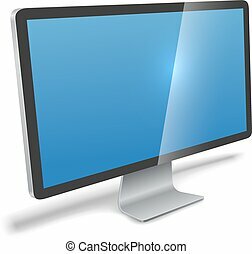 Flat screen LCD monitor perspective view isolated on white background. 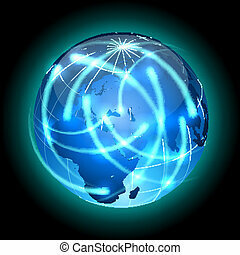 3D cut metal sphere signs isolated on white background. Vector set of metal round emblems. 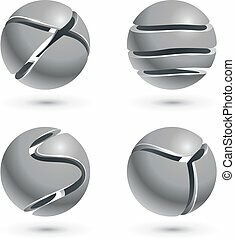 Metal balls with cuts vector illustration. 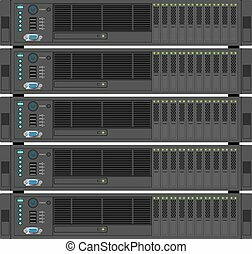 Stack of servers vector illustration. Data center stack isolated on white background.